Winter Storm Watch For Eddy County - Significant Winter Storm To Impact The Area Today Into Saturday. Valid At 2 PM MST Saturday. NAM-WRF Storm Total Snowfall Forecast. Valid At 5 PM MST Friday. 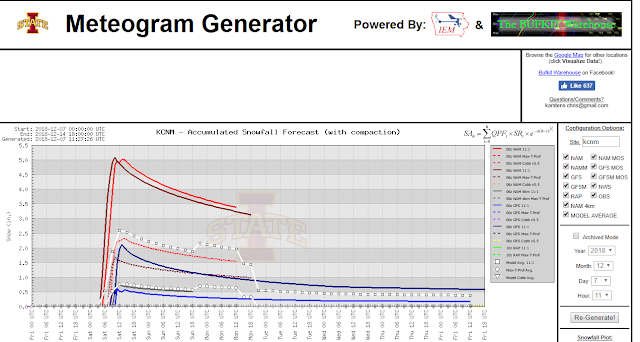 Meteogram Generator Storm Total Snowfall Forecast. Winter Storm Watch For Eddy County. Winter Weather Advisory For Otero County. Winter Weather Advisories For Chaves And Lincoln Counties. Winter Weather Advisories For Lea County & West Texas. A Winter Storm Watch is now in effect for Eddy County New Mexico for tonight into Saturday morning for heavy snow. 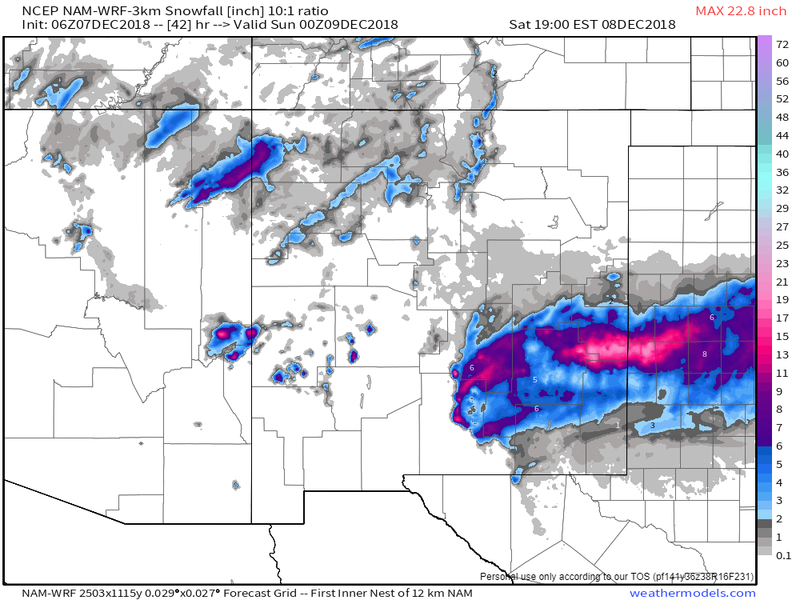 Locally heavy snowfall is now forecast for Eddy County including the Guadalupe Mountains with most of the county seeing around 3" and some spots more. This watch may upgraded to a Winter Weather Advisory or a Winter Storm Warning later today. Dangerous and difficult winter weather driving conditions are expected across the area tonight as areas of rain, freezing rain, and sleet mixes with or changes over to snow. Some local roads may become impassable and be closed tonight into Saturday morning. 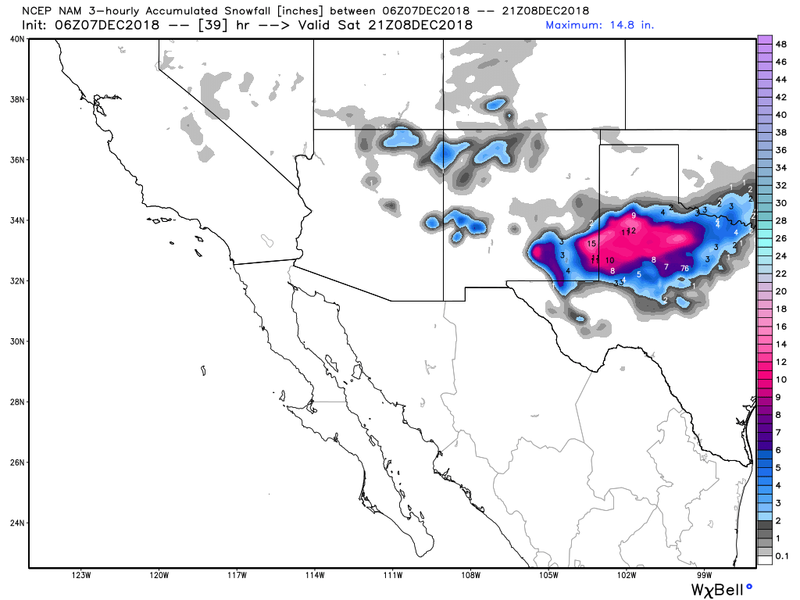 The models continue struggling with this incoming winter storm so its entirely possible that these totals could be even higher and in other places too such as Otero, Lincoln, Chaves, and Lea Counties. 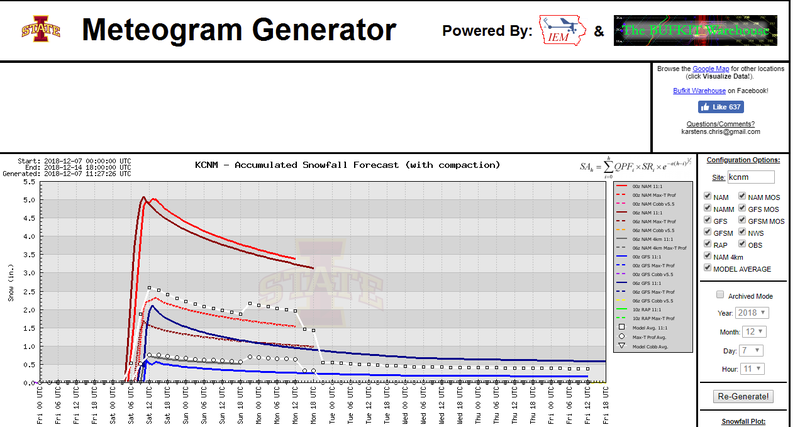 Use the graphics above only as an indicator that heavy snow is possible over the local area and do not use them for specific location forecasts.